Rhonda's Escape: Transgender History - Stonewall 2? Transgender issues today are rooted in a decades-long struggle for acceptance. By RetroReport Publish Date June 14, 2015. Photo by Leonard Fink/LGBT Community Center National History Archive. Some transgender activists feel shunted aside even by their brothers and sisters in the L.G.B.T. movement. “Trans people continue to be marginalized within the L.G.B.T. rights struggle, treated as tokens when convenient,” Meredith Talusan, a transgender woman, wrote last June in The American Prospect magazine. 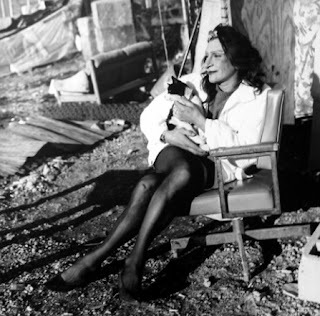 The late trans rights activist Sylvia Rivera, a veteran of the 1969 Stonewall riots. The key is well stated by Adams, "The real point is for people to get to know us...and get to know that we'r people just like everyone else". This can be best achieved one person at a time. That is why I am concerned with the proliferation of legislation on both sides of the issue. As Madison wrote in Federalist #51 "If men were angels there would be no need for government" Men are not angels but I still agree with his follow up premise that the least government the better. Thank you Pat - excellent comment.